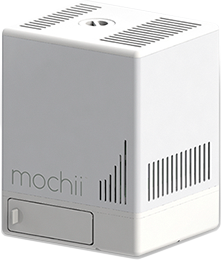 Mochii is currently available for remote demonstration from your home or office, as well as preorder. Also, yes, we are hiring! We look forward to hearing from you! I am interested in preordering my own Mochii™. I am interested in a Mochii™ demonstration. I am interested in learning about employment opportunities with Voxa. Please keep me up-to-date with Mochii’s development and announcements. 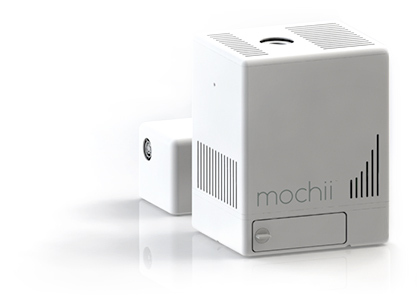 Meet mochii, the world’s smallest production electron microscope. Mochii gives you access to the nanoscale - understand the natural world and create new engineered systems. Experience mochii today. Contact Voxa to remotely test drive a model system from your home or office, send in your own samples, or find out about pre-ordering your own Mochii. Experience the simplicity and powerful imaging for yourself. Contact Voxa to remotely test drive a model system from your own office, send in your own samples, or bring a live Mochii into your space to experience the simplicity and powerful imaging yourself. See the world as you've never seen it before. Mochii™ is a new type of microscope that helps scientists, explorers, technologists, teachers, and learners see the natural world closer and more effectively than ever before. For nearly a century, powerful nano-imaging has enabled elite scientists, engineers, and researchers to understand the natural world, engineer new materials, build microchips, study implants, and develop new drugs. Mochii brings this capability to all users. Collaborators in the same room and in different countries can do more than simply share images: they can explore specimens together and analyze results in real-time! Mochii™'s wireless experience and its unique tablet-based software tools enable effortless exploration... together. A whole new way to explore the nanoscale. 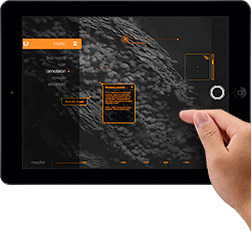 Mochii™'s unique tablet-based interface permits easy navigation of your specimen with a tap of a finger. Survey quickly and capture detail using automated features within the tool. Obtain impactful images effortlessly and share results with stakeholders instantly. Investigate your specimen simultaneously with colleagues around the world, collaboratively annotating specimen features and marking measurements in real-time. 2018 Aug - The Voxa Mochii S, combining SEM imaging and EDS chemical analysis in the world’s only portable format, was awarded a Microscopy Today Innovation Award for 2018, announced at the Microscopy & Microanalysis 2018 meeting! These awards honor innovative microscopy-related products and methods and are selected on the basis of their importance and usefulness to the microscopy community. Look for the article in the next issue of Microscopy Today. 2017 Jan - Come see us at the ASNT 2017 conference on-site at NASA Johnson Space Center, where we share Mochii's ability to serve science and engineering in space. Click here to see our presentation and learn more. 2016 Apr - Mochii images are featured in the Seattle Post-Intelligencer. Photojournalist Joshua Trujillo trades his professional Canon DSLR for a Mochii-connected iPad and explores the Pacific Northwest as you've never seen it before! Click here to see Josh's amazing images. 2015 Oct: Mochii is performing sophisticated nanoscale analyses in new ways and in new locales around the Pacific Northwest. Click for a gallery of some of these Mochii images, including many world firsts! 2015 Aug - Mochii makes its debut at Microscopy and Microanalysis 2015 in Portland, OR. While microscope makers showed off bulky laboratory machines, we arrived with one Mochii in each hand to show conference-goers nanoscale resolution in the smallest package ever. "The gift of the great microscopist is the ability to think with the eyes and see with the brain." Mochii's unique technology is patented and patent-pending. Artwork & Design © Copyright 2018 VOXA, Inc. All Rights Reserved.